I don’t know why did my worms die within three days, but let me tell you what I did in details. 1. I have a plastic bin with good ventilation in lid and small halls in the bottom to get rid of excess water. 4. The temperature is about 30 C but they wasn’t in a direct sun. I don't know why your worms died. There are many variables for this to happen. However I will tell you this based on your setup and location. Next time consider using some more forms of carbon. You mentioned paper but not sure if it was white, bleached paper or brown. Shred cardboard, paper, newspaper, and also use dead leaves or coco coir, peat moss. Add some form of minerals like ground, fine eggshells, 1 cup (0.2 liters) of garden soil or organic potting soil, wet it, and let the entire system set for one week. Keep it moist and well aerated. Letting it sit a while will allow the microbes to begin to breakdown the food because worms eat the microbes and not the food like Carbon & Nitrogen sources. You can add some nitrogen to the system but ONLY a small handful and make sure to bury it under the carbon bedding. Too much nitrogen (kitchen scraps) will cause the system to become anaerobic (lack of oxygen) and air will not flow throughout the bedding. After 1-2 weeks introduce the composting worms to the worm bin by placing them on top. They will naturally go down into the bedding. This should get you pointed in the right direction and make sure you read the free worm farming guide right here on this website. 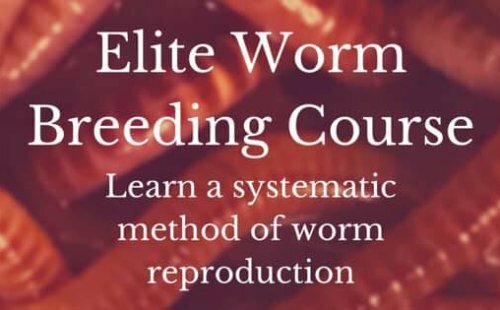 The link is on the left column under "Worm Farming Guide". I am also assuming that you definitely know that you had composting worms and not another type unsuitable for composting.